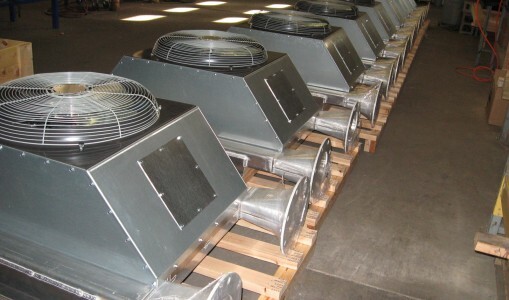 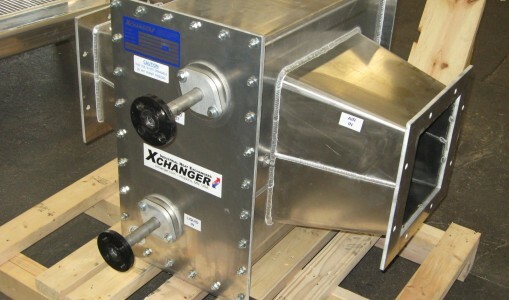 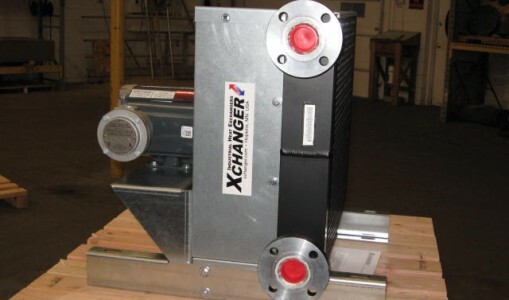 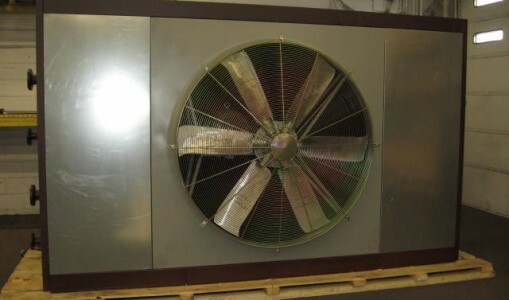 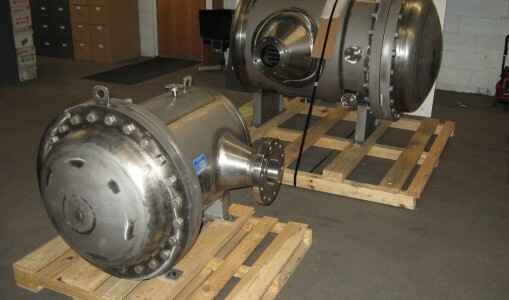 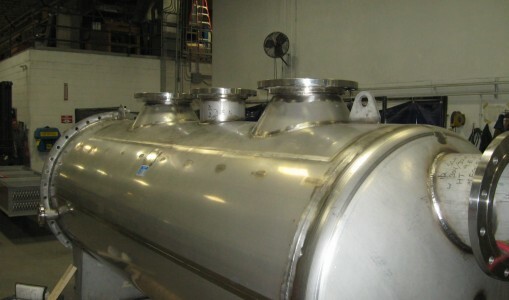 The pictured AA Series heat exchangers use two 12V motors to be powered by a truck or other portable battery. 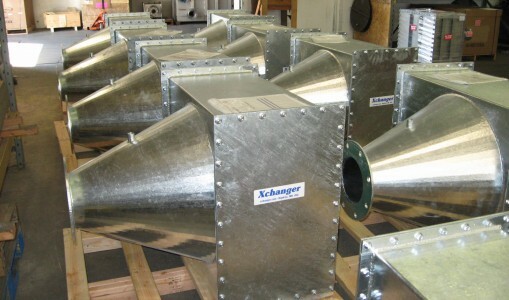 The connections are cam and groove fittings to quickly attach and detach hoses for hot intake and cool discharge air. 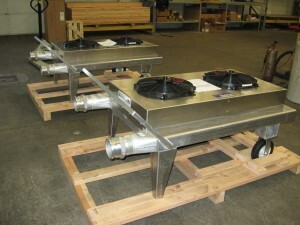 These units have locking casters on one end and a cart handle on the other for ease of mobility. 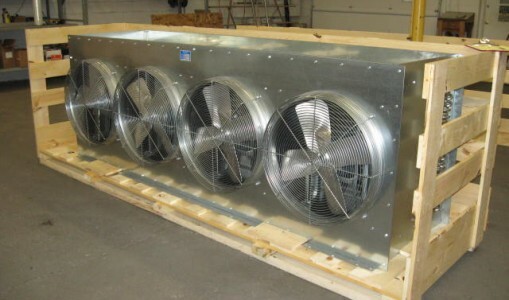 They can be moved as needed to different unloading locations or around a remote job site for other applications where typical centralized three phase power isn’t available. 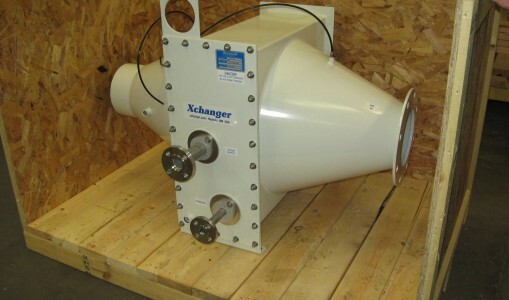 With the cart design, hose fittings, and 12V power, these blower aftercoolers are ideal for job sites that require portability.